mas de reconhecer que, sem os votos desse contingente de remediados de ascensão recente (talvez não fosse exagero qualificá-los como semipobres), não haveria extrema direita no poder. Isso aqui é interessantíssimo, inclusive para estudos futuros: se uma classe "sobe" no estrato social, como surgiu a Classe C aqui, qual a tendência de voto dela? Teria o PT dado o próprio tiro no pé? Há algo que fazer pra reverter esse quadro? Metop-C Satellite :The Metop-C satellite, launched from the European Space Port in Kourou, French Guiana, is the third and last satellite of the Metop series, which forms the space segment of the EUMETSAT Polar system. The biochemical changes are impressive. The illustration depicts Katherine being starved by Petruchio in an attempts to tame her attitude. Katherine is sitting at the long dinner table as depicted in the movie with her food being slapped away from her by Petruchio. Sydney L. Jetlee C.
The illustration depicts Katherine being starved by Petruchio in an attempts to tame her attitude. 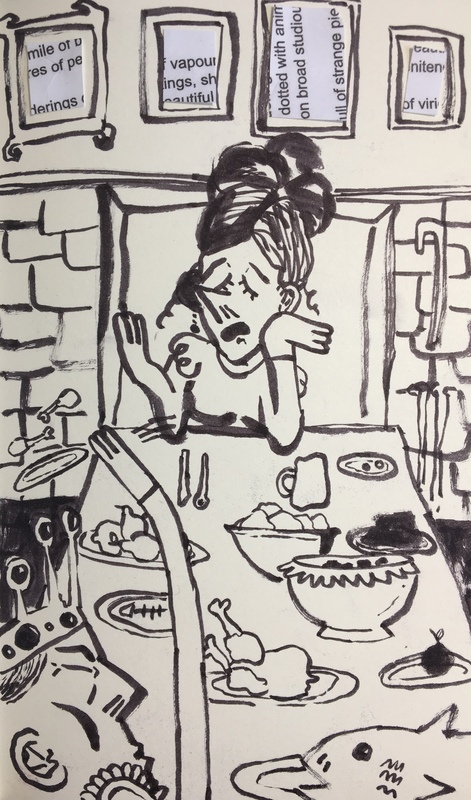 Katherine is sitting at the long dinner table as depicted in the movie with her food being slapped away from her by Petruchio. Another way to look at it: The .NET Framework has essentially two forks. One fork is provided by Microsoft and is Windows only. The other fork is Mono which you can use on Linux and Mac. With .NET Core we’re able to develop an entire .NET stack as a full open source project. Thus, having to maintain separate forks will no longer be necessary: together with the Mono community we’ll make .NET Core great for Windows, Linux and Mac OSX. This also enables the Mono community to innovate on top of the leaner .NET Core stack as well as taking it to environments that Microsoft isn’t interested in. Todd Veldhuizen, the co-discoverer of expres-sion templates (CIP 10:6, 1996 p. 552; CJP I 1 :3, 1997, p. 263), i now a graduate student at the Univer-sity of Waterloo. Why I cannot cout a string? "like"? Are all of these researchers from UT? Now, there are cases where people have taken, they’ve built themselves up to 50, 60,000 milligrams of oral vitamin C a day over months and years and they can achieve a higher blood level in the 20s, maybe the 30s. What we’re shooting for with cancer patients is for 400 milligrams per deciliter. I think the concept of antioxidants has been misunderstood. What Dr. Tom Levy and I have introduced at our most recent conference is this concept of redox medicine that everything in nature is redox. Dave Asprey: Yes. Explain redox for our listeners. This is also in headstrong. Just like define that. It’s so important. You guys will have to hear this. Ron Hunninghake: Yeah. Well, life is redox. There’s oxidation, there is reduction. Oxidation is when molecules lose electrons and it causes dysfunction of some sort. Reduction is when from some source, such as vitamin C or good quality food, you are able to get electrons back in order to stabilize the molecule and to stabilize the structures that it’s working within. There are some other doctors that have looked at depriving cancer patients of all vitamin C for periods of time and then hitting them really hard with high doses of vitamin C as a possible way of inducing apoptosis in cancer cells. There’s a lot of research in this area and it’s not like it’s all worked out now. It’s more like we are in the early stages of flight and we need research is what we really need and unfortunately, it’s hard to come by at the funding for this particular area. Although children may be at the one-word stage in their productive language, research suggests that they are perceiving and processing language in five-to six-word segments. Good question. For C++ there are quite a number of established frameworks, including (but not limited to), CppUnit, Google Test, Boost.Test, Aeryn, Cute, Fructose and many, many more. Even for Objective-C there are a few, including OCUnit - which now comes bundled with XCode. TR: How do you account for the fact that C++ is both widely criticized and resented by many programmers but at the same time very broadly used? Why is it so successful?BS: The glib answer is, There are just two kinds of languages: the ones everybody complains about and the ones nobody uses.There are more useful systems developed in languages deemed awful than in languages praised for being beautiful–many more. The purpose of a programming language is to help build good systems, where “good” can be defined in many ways. My brief definition is, correct, maintainable, and adequately fast. Aesthetics matter, but first and foremost a language must be useful; it must allow real-world programmers to express real-world ideas succinctly and affordably. La idea, de Stroupstrup en C++, de un lenguaje para escribir sistemas (¿de computo?) constrasta con la de uno que sirva a la expresión creativa del espíritu humano, de Ingalls en Smalltalk. El programador profesional como destinatario del lenguaje en C++ también contrasta con los niños en Smalltalk. Installation on Windows needs OpenCV (http://opencv.org) > 2.4.9 and freeglut (http://www.transmissionzero.co.uk/software/freeglut-devel/) (although in theory is only needed if you need OpenGL). Repurposing Taylor's Complexity Theory to Comp. But then his father finally said a resounding “No,” and nothing more would be spoken about it. !! is this the same as Sociocultural Perspective - the term used in C&W? There are three kinds of storage locations: stack locations, heap locations, and registers. Documentation should focus on semantically useful descriptions; another accompanying document (or annotation) can provide relevant implementation details upon request, but that deeper level of detail should be left out by default to avoid enlarging the importance of less relevant things.